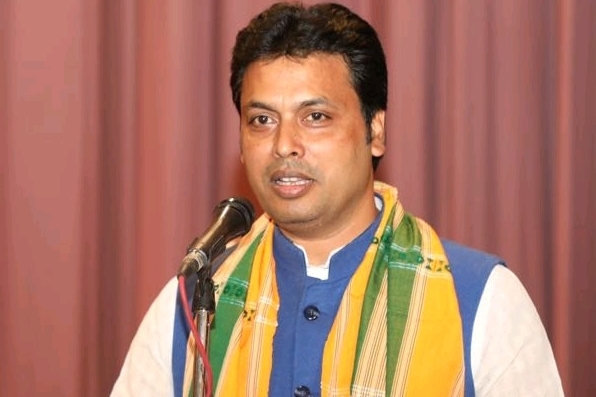 Tripura Chief Minister Biplab Kumar Deb while assuring a delegation of Communist Party of India-Marxist (CPI-M) of safety, said that some ‘over-enthusiastic’ miscreants from CPI-M and other political parties are responsible for the alleged attacks on Left Front supporters and other Left party offices. The CPI-M delegation had called on the Chief Minister in Agartala on Saturday regarding the alleged attacks on their party workers and offices post the declaration of Assembly elections early last month. The Left Front had accused the Bharatiya Janata Party (BJP) and its alliance partner, the Indigenous Peoples Front of Tripura (IPFT) for the violence. Later addressing media persons at the CPI-M headquarters in Agartala on Saturday evening, Tripura state secretary of the CPI-M, Bijan Dhar said that a five-member delegation of the Left Front had met Chief Minister Biplab Kumar Deb and sought his intervention to put a stop on the alleged attacks on Left Front workers and trade union offices in the State. The Left leaders had also submitted three lists of alleged post-election attacks by BJP and IPFT supporters in Tripura. The lists claim 438 party offices to have been attacked including 93 cases of arson, 230 ransacked, 52 locked and 63 captured party offices since March 3 last. The Left Front had also claimed that over 1700 houses of Left supporters and leaders were attacked. However, the Chief Minister had denied the role of BJP in the attacks and said collaborators from other parties including CPI-M were responsible for attacks on the Left parties. The Chief Minister has also assured strict action against anybody found involved in these attacks. Dhar further told the media that they were satisfied with the talks with the Chief Minister. The delegation which met the Chief Minister comprised of CPI-M central committee leader Rama Das, state leader Naresh Jamatia, Revolutionary Socialist Party (RSP) leader Sudarshan Bhattacharjee, CPI leader Ranjit Majumder and Forward Bloc leader Shyamal Roy apart from state Left Front convener Bijan Dhar.